The development of dance clubs and party scenes in Taiwan can be traced back to the U.S aid period. In the 80s, the booming economy popularized disco dancing, making it a constant recreation for metropolitan youngsters. During the stage of economic takeoff, the dancing business was moving so well that the clubs on Linsen N. Road extended their business hours earlier from the evening and later to midnight. After acid house sweeping America and the Europe, rave culture started spreading to the entire globe. With the lifting of martial law, younger generations started craving for political freedom and physical autonomy. The reason above plus the promotion pushed by DJ @llen and many other DJs in the 90s to 2000s had given birth to rave culture in Taiwan. Besides Japan, Taiwan is one of the first places in Eastern Asia to have rave culture. The effort made by each generation over two decades has kept the culture alive. Our underground scenes remain highly diversified, even though EDM is the current worldwide mainstream. The Taipei rave music scene was portrayed in the classic Hou Hsiao-Hsien film Millennium Mambo. 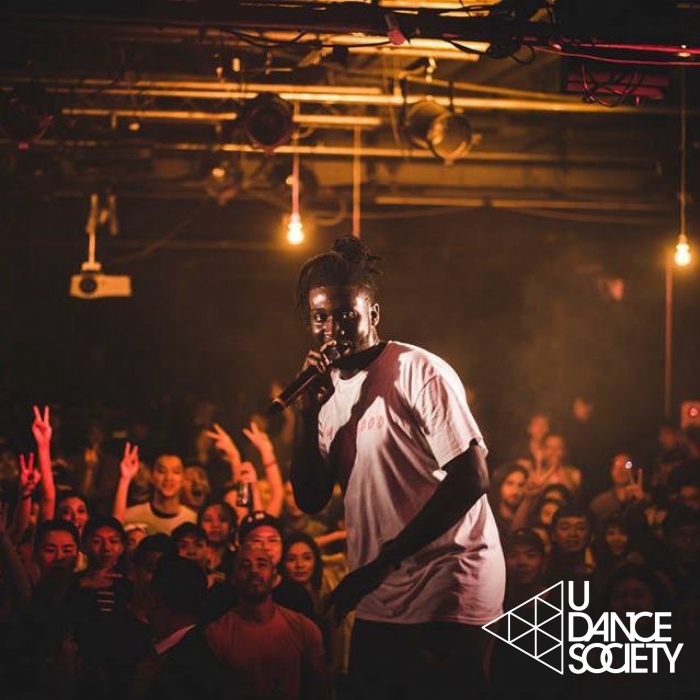 Due to the incompleteness of regulations, running a major dance club in Taiwan is never an easy task, let alone running a niche one. Besides major dance clubs that played commercial music, plenty of notable underground music clubs still existed in Taiwan however harsh the business environment. For instance, in the 90s, Twilight Zone and The EDGE became the missionaries of rave culture. The later established Texound and 2F even became two internationally renowned clubs. Though these clubs no longer existed now, the legacies they created are still something we are very proud of. There are hardly any music clubs that play House or Techno alone in Taipei now, but there are many groups of people keep organizing parties related to these genres. These groups mostly focus on playing specific genres. They often invite internationally renowned DJs to come play in Taiwan. With their effort, Taiwan’s underground music scenes have always been active. These parties mostly take place in certain venues. You’d be able to find 3 to 4 related activities each week. Because of its relation with hippie culture and Hinduism, psy trance is one of the most unique electronic music genres of all. 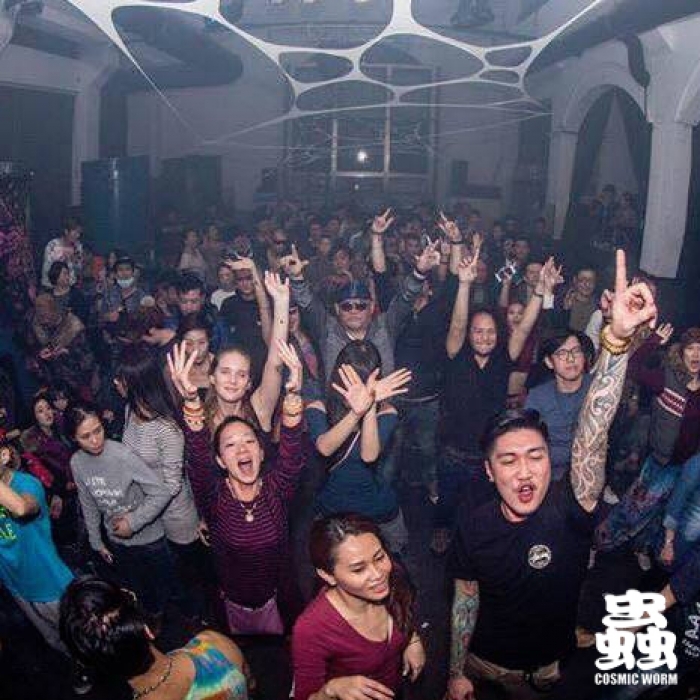 With the systematic promotion done by Blue Moon Productions in the late 90s, the culture of psy trance has been active since then and deeply rooted in Taiwan to date. Psy trance had once been the most popular electronic music genre in Taiwan. During 2000 to 2001, it wasn’t hard to find clubs that play this kind of music. These clubs were decorated with neon graffiti and religious symbols, along with the dark and twisted sounds, giving dancers a feeling of partying on the beach of Koh Phangan once they entered the door. Taiwanese dancers often called people at the scene as “psy-ka” (the fan of psy trance party). Psy-kas are passionate about outdoor parties, you could see them dancing and hanging around Taiwan’s forests and beaches all year round. The groups that promote psy trance are very hospitable and have been around for long. Don’t make a fuss if you encounter dancers with grey hair, just kindly greet them with hospitality for they probably have been hanging around since the last century. There is no doubt that Taiwan is a rather friendly society toward LGBT community and has its own reputation throughout the globe. The relatively open-minded society and similar cultural background have made Taiwan one of the hottest travelling spot for LGBT tourists in Eastern Asia. The annual pride parade held in Taipei at the end of October always attracts thousands of tourists from around the world to celebrate together. You’d be able to see many LGBT tourists sightseeing in Taipei during major holidays like New Year’s Eve and Golden Week. Taiwan possesses a long history of gay party culture. In the middle of the 90s, with the effort of Victor Cheng and Jimmy Chen, the house-playing party with drag shows became more and more popular in the LGBT community. In the middle of 2000s, Taiwan’s LGBT-friendly scene started to attract a great amount of foreign LGBT tourists. Therefore, regularly held parties like G5 has grown from a smaller event to a larger event with thousands of participants each year. To date, most gay parties are regularly held at times like the pride parade, the New Year’s Eve, the Chinese New Year and the Dragon Boat Festival. As long as you search the Internet, or just head to live venue like The Red House, you’ll be able to find tremendous info about gay parties. The vigorous Taiwanese local dance music has been a controversial topic in the community since the very beginning. However, its vigorous sound has made it something we shouldn’t overlook when talking about Taiwanese electronic music scenes. Taiwanese local dance music developed in the early-2000s when electronic music just became popular in Taiwan. Many dancers left the clubs in the early morning but were still reluctant to go to bed, so they called up their friends to keep partying at the KTV. However, regular KTV didn’t have the repertoire they normally danced to in the club, therefore, they chose some Taiwanese or Cantonese pop songs with heavier beats to imitate the atmosphere. As time goes by, the acoustic features of these chosen songs have evolved into a new genre called “Tai-House” or “Canto-High”. Some producers even arranged commercial music with this new genre. Because Taiwanese local dance music is produced based on the preference of Taiwanese audience, it had once replaced Western electronic music in many dance clubs, and even influenced other local culture. The most notable example is the “Techno Princes” (電音三太子), the sensational dancing puppets in the images of God. They often dance to Jerry Lo’s songs. In recent years, local dance music has added in Chinese downtempo, Vietnam House and even charted EDM songs as new music elements, hoping to present a fresher experience to its audience. The performance of Techno Princes has been integrated into the local religious culture in Taiwan. Many youngsters thought huge parties didn’t exist until the past two years, but this is a huge misunderstanding. Early in 2001, the Moonlight Party held at the south bay of Kenting was already a huge electronic music festival with more than 20,000 participants. Ever since electronic music became a popular thing, Taiwan hasn’t had shortness of huge parties. Featuring both local and international lineups, 2F:White Party has attracted thousands of dancers to participate since 2006. Held in Kaohsiung, Sensation White has also attracted over 12,000 of audience to participate in 2012. Over the years, the growing popularity of EDM has lowered the average age of dance music fans, resulting to the increase in the number of huge parties. The quality of the parties has become better each time than before. To date, Taiwan has built two very important festival brands, SpringWave Sunset and Looptopia. The world’s famous dance music festivals Arcadia and Road to Ultra had both landed Taiwan already. Tomorrowland and EDC have long been looking forward to entering Taiwanese market. If you’re a dancer enjoying big parties, Taiwan is definitely the place to be. 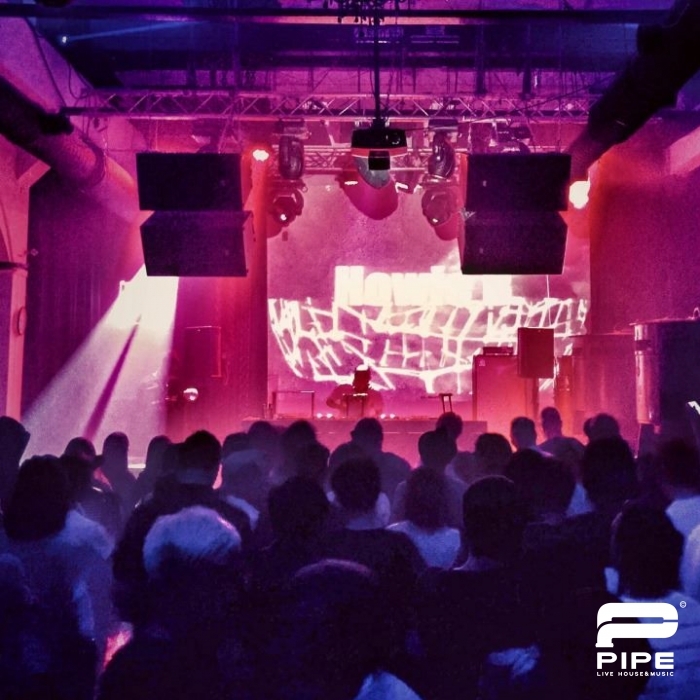 Besides the dancing-oriented electronic music party, live electronic music performances have also marked their significance in Taiwan’s underground music scenes. Though live performances are mostly less active than the high profile electronic parties, the platforms are still very important to electronic music creators in terms of presenting their originals. Live electronic music performances might not be held as frequently as the dancing-oriented ones, but if you pay more attention to the artists’ social media pages, it’s very unlikely to miss them. Ranging from the very experienced Sonic DeadHorse and Fish.The to the retro chiptune group P.C.B; from the elegant and spirited Glitch artist Ruby Fatale to the romantic and ethereal electronic group Jade Eyes, these underground electronic music scenes contain talented performers that will blow you away. If you're in Taiwan, make sure to visit these places. If you prefer Resident Advisor to DJ Mag, this is the place you wouldn’t want to miss. 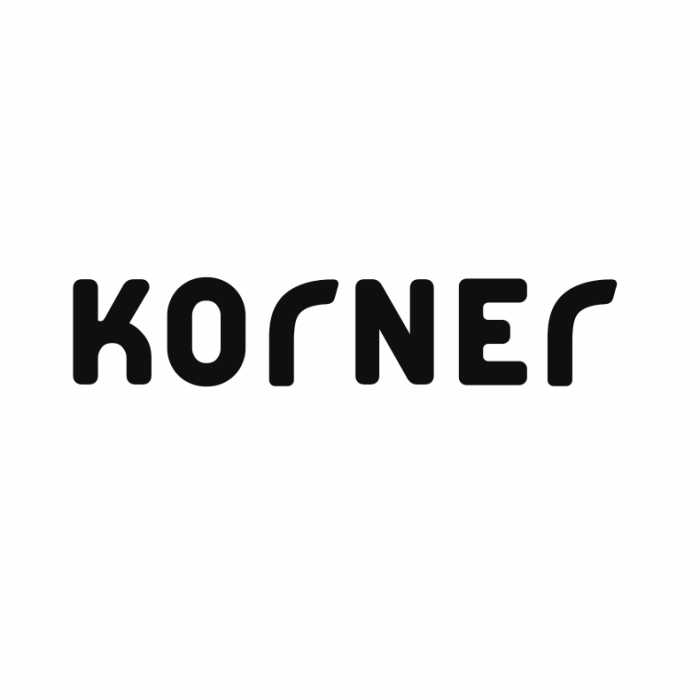 Hasn’t established for long, Korner gained its international reputation by inviting numerous notable techno and experimental electronic artists to come perform. 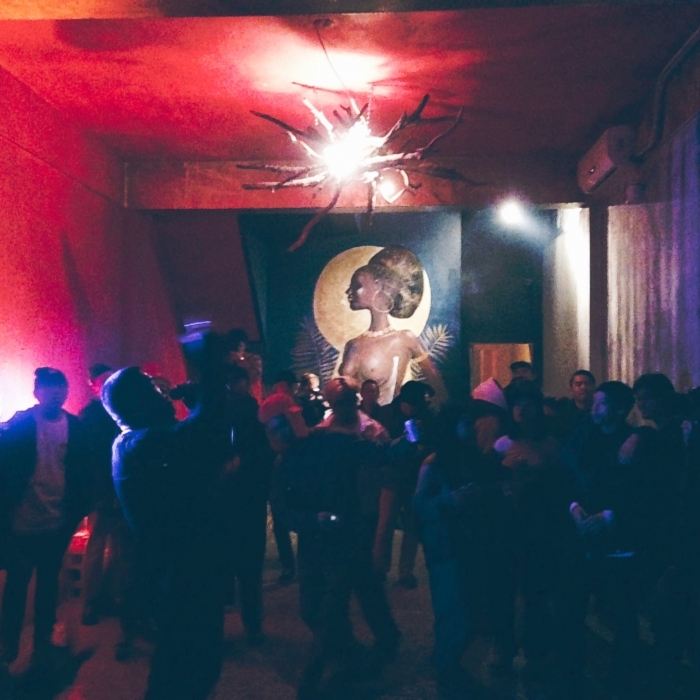 The venue is not a dance club, but two side halls of The Wall, a live music venue. The main hall will open when holding for significant events. The most extraordinary feature of this place is the building itself. Constructed in the era of Japanese colonization, the building has become a city heritage. Pipe Live located solely and elegantly beside the bank of Xindian River. Dancing on the dance floor, you’ll see the exquisitely made curtains and a mechanical water pump placing next to you, creating a surreal atmosphere of time-traveling. It’s easy to find activities held by Taiwanese party organizers in here. If we only pay attention to mainstream media, we’ll have a misconception that all of the electronic music activities are held in Taipei. However, the truth is you could still find lots of nice places outside of the capital. Take “The Cave” for instance; the venue is located in Taichung, it’ll amaze you by its atmosphere and the quality of events. The events held in The Cave were mostly artsy and live-oriented. With party-oriented activities gradually ruling Taiwan’s electronic music scenes, it’s rare to have places like The Cave that still provides a platform for live performances. 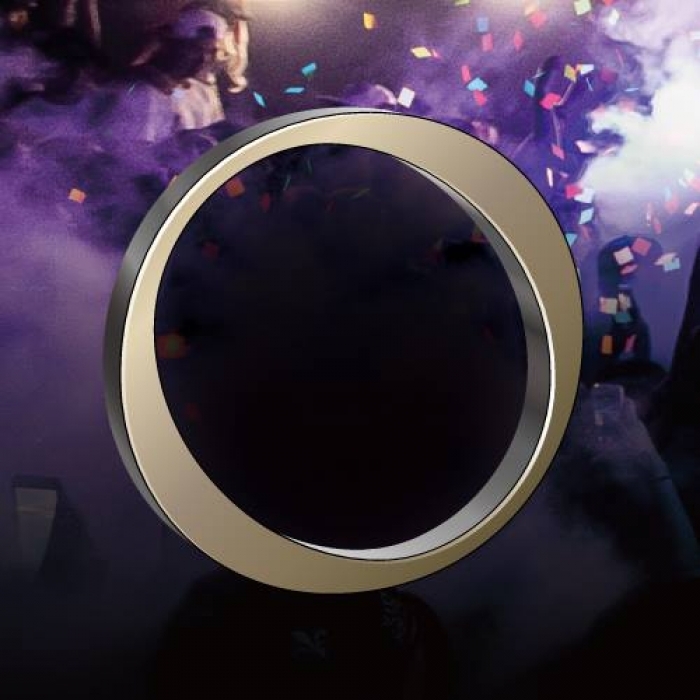 Omni, previously known as Luxy, is a nightclub located in Taipei with 10 years of history. Renamed and reopened in 2015, the owner had the entire interior re-decorated, making Omni the first nightclub in Taiwan to win multiple international design awards. The Loop, the management team of the club, is also the production team of the very famous 2F White Party and Halloween Massive. In 2017, they even produced a new electronic music festival called Looptopia. 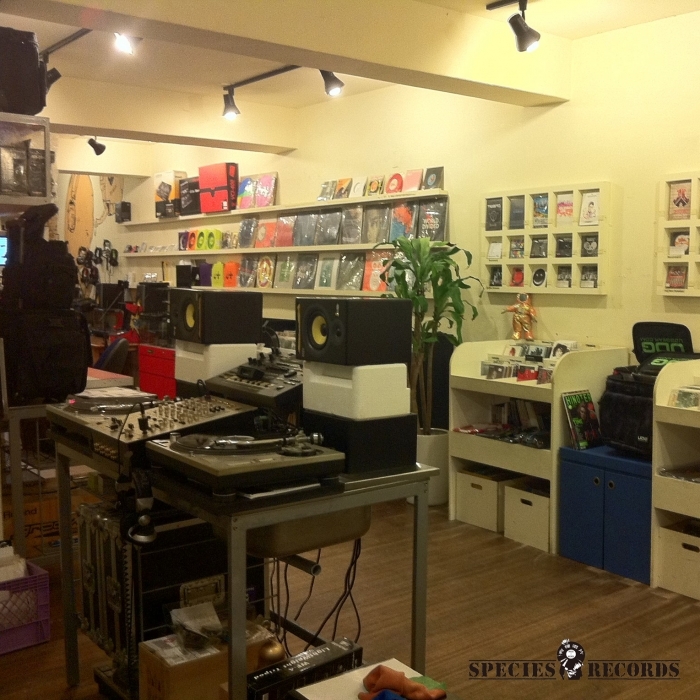 Species Records is neither a club nor a live music venue. If you feel like partying but don’t know where to go, this might be a good place to hang around. In the digital era, Species Records is one of the very few record stores insisting on selling vinyl records. A-Dao, the owner, is a Techno DJ himself. He once won the first place in a Taiwanese professional DJ voting, attracting many DJs and musicians visit the store frequently. You’d be able to find various event flyers outside the store. It is a great way to figure out which activity to go. To party or not to party, that is not a question - as long as you follow the right organizers. Though techno is never a mainstream genre in Taiwan, but it still has cultivated a group of loyal audience. Most Techno party promoters in Taiwan are unique in their own way. Some focus mainly on musicality and specific genre, some manage to mix humanity and social consciousness into their core value. 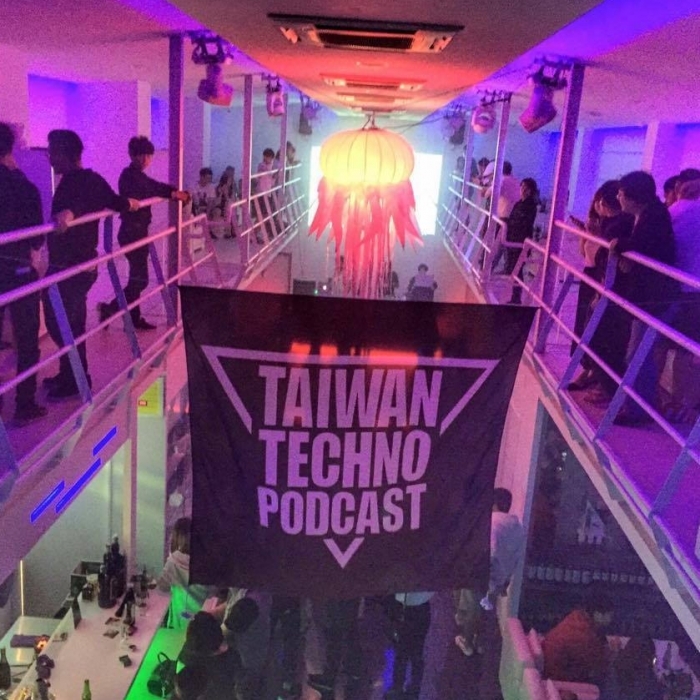 Take Taiwan Techno Podcast for instance; they put a great effort into presenting the music of techno DJs in Taiwan. They not only hold events but also manage a regular updated channel on Mixcloud. More than 100 Taiwanese techno DJs have released their mix set through their channel. As we previously mentioned, Taiwan’s psy trance culture has its long history, resulting to numerous experienced party organizers in this field. Some organizers have their own sound systems, some know how to create fancy art installations for parties on their own.COSMIC WORM is a recent active psy trance party organizer, they also add in other genres in some of their events to attract more music fans. Taiwan’s gay parties are so famous that they have become tourist attractions. During the period of pride parade or other major holidays, gay parties take turn to rock the island, attracting numerous tourists to join as well. If you ever wanted to appreciate the authentic House dance moves by drag queen and go-go boy, then Werk, the monthly gay party, is definitely the place you’ve been looking for. Compared to house, techno and trance, genres born after 2000, like nu disco and indie dance became popular much later. With the great effort of U Dance Society, the parties of these genres have gradually gained their segments in modern party market. The artists and DJs that U Dance Society invited are mostly those who specialize in fusing electronic music with other music elements like funk, R&B and hip hop. They are good at impressing dancers with fresh style of music. Since rave dance became popular in Taiwan, Spunite has been holding events of all kind. For the last decade, they have gained a bunch of loyal fans. To the experienced trance fans, Spunite’s event is like alumni reunion. 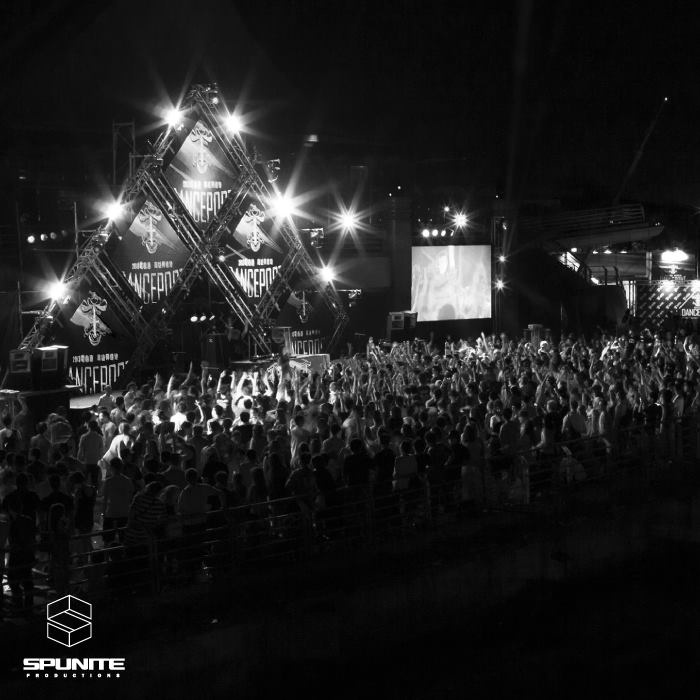 Spunite recently became the promoter for Road to Ultra in Taiwan, and has gradually expanded its business into holding bigger music festivals. Not only the resources, but the whole communities that share the same passion with yours. From BBS, blog to Facebook, online media has always been a critical key to the development of rave culture. Dance Music Board of NTU BBS, Studio E of Tomorrow Times, and GayHouse group of Yahoo have long been the most important platforms for party info. 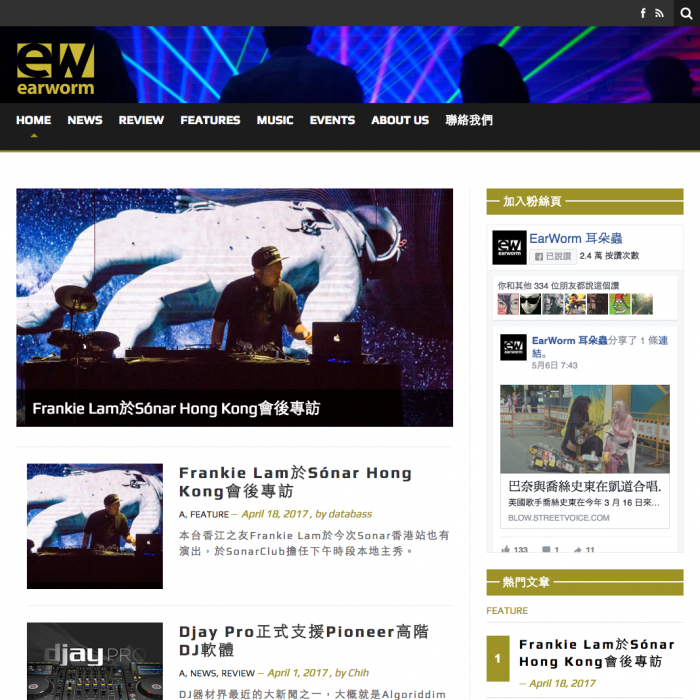 Founded in the same year when Facebook first launched in Taiwan, EarWorm started managing its own website in 2013 by writing feature articles, becoming the pioneer of dance music media in Taiwan. The website contains content like interviews, critique and observation of electronic music scenes. Founded in 2013, OOC was first started as a party-planning consultant. In 2015, OOC started setting foot in social platforms and media. OOC shares news and anecdotes of EDM scenes with passion and humor, attracting a great bunch of young fans. Their content is specifically designed for Facebook users, so the number of shares is tremendous. Their interesting self-made videos also gain praise from many music fans. 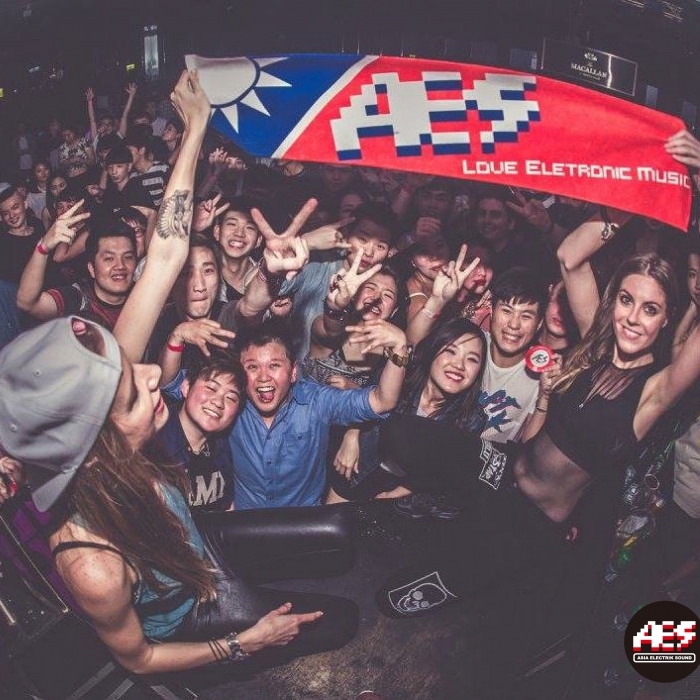 Founded in 2015, AES started later than most electronic music media. However, with its great managing effort, to April, 2017, their fan page and Facebook group have gained over 50 thousands and 20 thousands of fans respectively. The growth rate and scale of AES’ social network are both impressive. Other than managing media and social platforms, AES has recently set its foot in party planning, and helped produced several huge events. 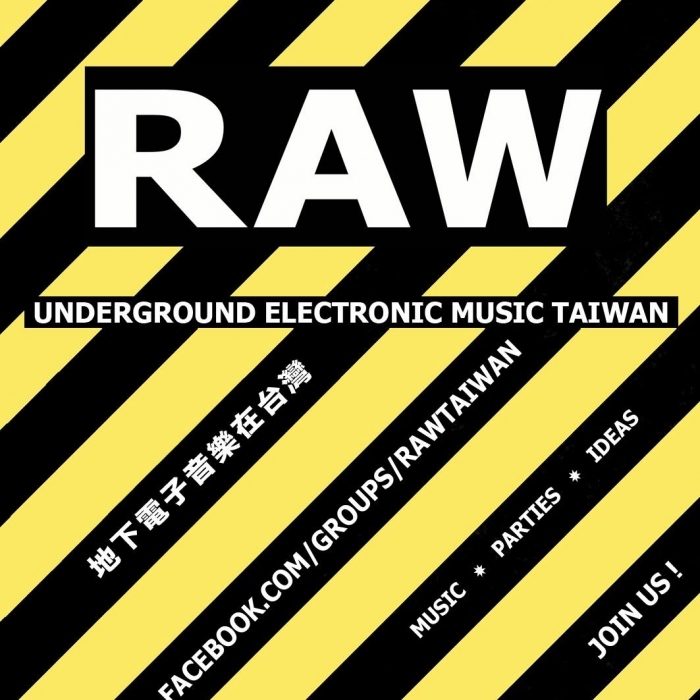 With more than 30,000 members, EDM Taiwan is currently the biggest EDM Facebook group in Taiwan. The members of this group are relatively young, and some are even still in middle school. 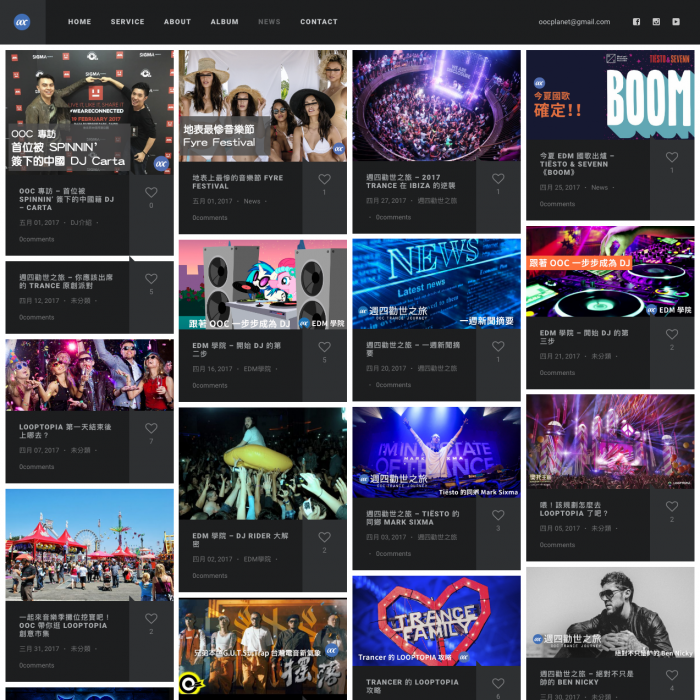 If you’d like to know what teenage EDM fans think, what they are listening now, or which DJ they love the most, EDM Taiwan is where you can gain these info. The main difference between this group and the ones we previously mentioned is that most of its members are non-Taiwanese. Though the name of the group is in Chinese, the members are mostly foreign students or workers who’s currently dwelling in Taiwan. They love underground electronic music and frequently appear in lots of electronic music scenes. Some of them are DJs or party promoters themselves.